There’s a paperback giveaway for THE ALIGNMENT going on November 28 – December 27 on Goodreads. Tell your friends! Three winners can start this series for free. I’m giving away 3 copies on Goodreads! Giveaway ends December 27. See the giveaway details at Goodreads. THE ALIGNMENT is free on Kindle right now and has rocketed to #1 in several categories and into the Top 100 Free. Thanks so much to everyone who downloaded the book. I couldn’t be more thrilled. It’s free through tomorrow, so tell your friends! And if you read it and like it, please consider posting a quick review on Amazon or Goodreads (or both!). Indie writers rely on reviews from readers and are very grateful for each and every one. And if you happen to like it enough to continue through the series, thank you! Your support powers my writing. I’ll post a quick update about book 5 very soon. I just got a shipment of bookmarks for THE CATALYST. If you’d like a bookmark for any book or for all four, contact me and I’ll mail you one (or more). THE ALIGNMENT Moves to the Next Round in SPFBO! Six out of thirty books are moving on to the next round in The BiblioSanctum’s assigned group of Self-Published Fantasy Blog-off (SPFBO) contestants, and THE ALIGNMENT is one of them! Talk about a great surprise and an honor mixed with a heap of unworthiness. There are so many awesome looking books in that group of thirty. I’m in serious disbelief THE ALIGNMENT was chosen to be in the top six. Check out The BiblioSanctum’s mini-reviews of the twenty-four. And please send THE ALIGNMENT some luck, it’s going to need it! Tell your friends! Enter for a chance to win THE ALIGNMENT (Kindle version). Five winners will be chosen; it’s a 1 in 500 chance to win. No purchase necessary. Ancient feuds, forbidden love, magic and revenge. The Alignment Series is a pentalogy that spans three generations of two rival families and the people caught between them. Enter for a chance to win the first book in the series today! 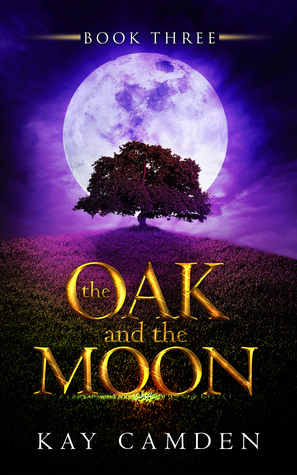 I’m giving away a paperback of three books: THE ALIGNMENT, THE TWO, and THE OAK AND THE MOON to three lucky winners. Giveaway ends December 20. See the giveaway details at Goodreads. The first book in The Alignment Series is free on Kindle December 2-6! I’m giving away a paperback of THE ALIGNMENT to five lucky winners who can start this series for free! Giveaway ends December 28, 2014. See the giveaway details at Goodreads.